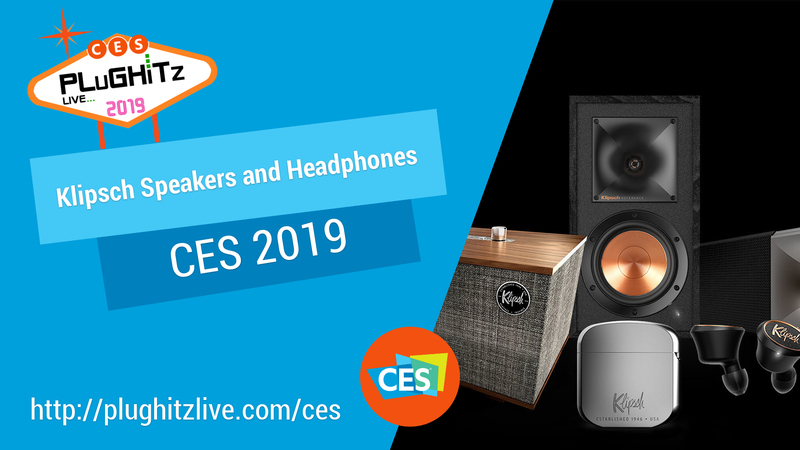 One of the most innovative sound companies for speakers and headphones, Klipsch, has introduced an exciting new line of products. We spoke to Mark Casavant, who is the Senior Vice President for Global Brands and Business Development. The Klipsch company has been very well-known for exceptionally high-quality sound for your music, videos, and television. They are the first to have a complete WiSA system for high performance, which they demonstrated at CES in partnership with LG. WiSA allows you to have a full surround sound system without the need for a receiver, as the television has that technology built-in. Klipsch has always been keenly aware of what the consumer is looking for and has always strived for excellent results. Their soundbars and wireless earbuds are far superior to others on the market because they feel that if you are going to listen to music, then you should always get the best quality available. One feature of their wireless earbuds that sets them apart and shows off the company’s dedication to detail is the carrying case. Like many true wireless earbuds, the case acts as a charger for the earbuds. But, in Klipsch’s case, the case is also made of a high-quality metal that is very reminiscent of the Zippo lighter. Also, like all Klipsch earbuds, the fit of the earpieces is among the best available. There are many reasons that Klipsch is set apart from the others. Paul Klipsch was considered a founding father in the Hi-Fi industry. He did much research before he even produced his first speaker. He was able to identify all kinds of distortion that had previously been ignored by the audio industry, such as harmonic and modulation. The design philosophy of Klipsch is the relationship between efficiency and distortion and their approach to the electromechanical design of the transducers. The more efficient the product design, the less distortion exists. Minimizing the distortion to the way we hear music will result in a powerful dynamic range that is unlimited because it is so clear and crisp even at a very low volume, which is the reason people buy sound bars as TVs have small speakers. While he Tractrix horns may be one of the defining features of Klipsch speakers, it is a means to an end. It is the lack of distortion produced by these horns that really brings the sound to life. One of the things Mark emphasized was that the Klipsch company is very attuned to the consumers’ comfort and satisfaction. They aren’t concerned with the convenience at the expense of quality. They want the consumer to be able to get a level of performance that defies the price point and goes up against prices that are double, but yet they aren’t the lowest either. Mark told us that there isn’t a specific release date because they will be released throughout the year. For much more info you can go to their website.